If your skin and the whites of your eyes have turned yellow, the chances are high that you have jaundice. Although jaundice is quite common in infants, it also occurs in adults. This yellowness is a result of high bilirubin levels in your blood. Wondering if we have any remedies up our sleeve to cure jaundice naturally and effectively? Scroll down to find out! Jaundice is the medical term used for the yellowing of your skin and the whites of your eyes. Although it is not a disease in itself, it may be an indication of an underlying medical condition. Your skin tends to turn yellow when the level of bilirubin in your blood exceeds 2.5-3 mg/dL. In adults, jaundice can be a result of a life-threatening condition that may need to be evaluated, whereas, in infants, it is often a benign condition that improves without much side effects. However, in some cases, jaundice can cause brain damage and even death in infants. The following are some of the signs and symptoms that surface with jaundice in adults and infants. Let us now look at the leading causes of jaundice in both adults and newborns. In both adults and infants, jaundice occurs due to excess bilirubin in the body. Bilirubin is a waste product that is produced as the result of the breakdown of your red blood cells. This compound is broken down and excreted through the stools. Prior to birth, babies have a different form of hemoglobin that starts to break down rapidly after they are born. This generates high levels of bilirubin that needs to be excreted from their body. An underdeveloped liver cannot excrete bilirubin as fast as it is being produced and so, this might result in hyperbilirubinemia and jaundice in infants. Jaundice can further be divided into three major types depending on its cause. Pre-Hepatic Jaundice: This type of jaundice results from an excessive breakdown of red blood cells, which overwhelms the liver’s ability to metabolize bilirubin. Hepatocellular Jaundice: When your liver loses its ability to metabolize bilirubin, it results in hepatocellular jaundice. This type is often a result of liver dysfunction. Post-Hepatic Jaundice: When there is an obstruction in the drainage of bilirubin from your body, it results in post-hepatic jaundice. Let’s now take a look at the levels of bilirubin in adults and infants that determine the onset of jaundice. The most common way of testing your bilirubin levels is through a blood test, though an amniotic fluid test and a urine test can also give reliable results. The test measures the levels of both conjugated and unconjugated bilirubin. The normal bilirubin levels in adults range from 0.2 mg/dL to 1.2 mg/dL. Any levels above this are considered high, and the individual has an increased risk of developing jaundice. Newborns should not have bilirubin levels above 5 mg/dL. Infants whose bilirubin levels rise above this level after a few days of birth are also at risk of developing jaundice. High bilirubin levels are not favored, and you must keep them in check to avoid health complications that may lead to jaundice. The following are some natural ways by which you can keep your bilirubin levels under control to combat jaundice right at home. One of the most widely used treatments to cure jaundice in infants is phototherapy. However, a study states that exposure to sunlight can be even more effective than phototherapy in treating neonatal jaundice as it helps in the isomerization of bilirubin molecules (1). 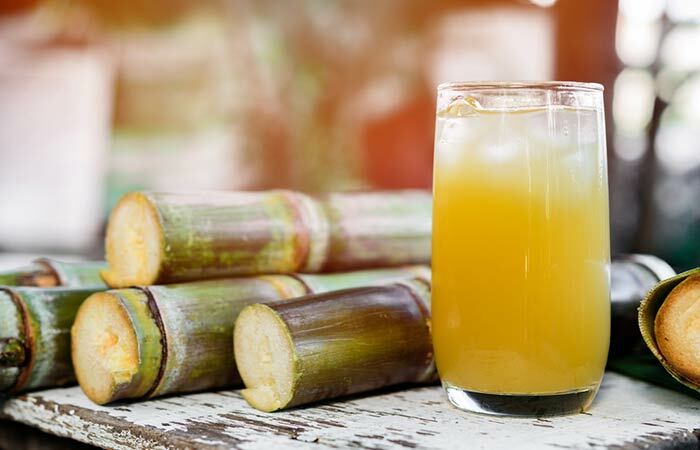 Drink one to two glasses of sugarcane juice. You must drink this juice daily until your condition gets better. Since sugarcane juice helps in strengthening your liver, it is a great remedy to cure jaundice. Restoring the functioning of the liver can keep your bilirubin levels in check (2). Mix 12 drops of rosemary oil with 30 mL of any carrier oil. Apply this mixture topically to your abdomen and liver area and massage gently. Leave it on and allow it to be absorbed. Do this once daily until you see an improvement in your condition. 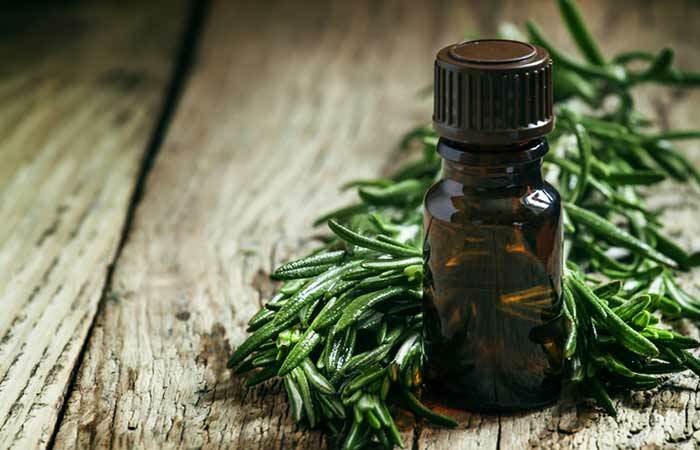 Rosemary essential oil is extremely beneficial to the liver, given its detoxifying and hepatoprotective effects. Hence, it is suitable for treating jaundice, which is often a result of a dysfunctioning liver (3). Add 12 drops of lemon essential oil to 30 mL of a carrier oil of your choice. Mix well and apply it all over your abdomen and right above your liver area. Leave it on until it is completely absorbed. 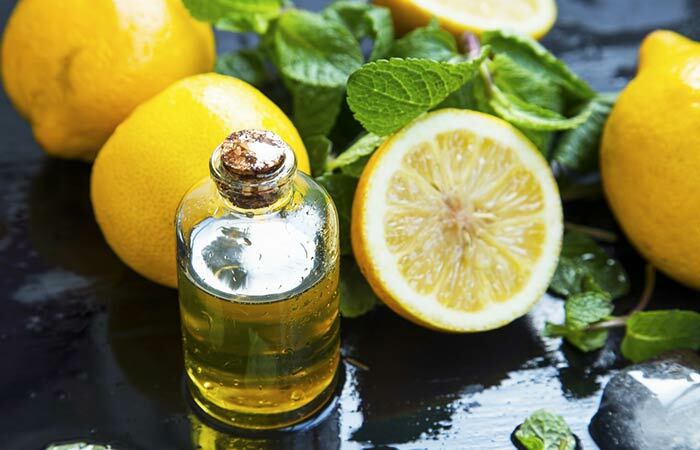 Lemon essential oil is known for its protective action against liver injuries. Its high antioxidant potential helps in promoting liver health and treating jaundice (4). Consume a cup of goat milk. You must drink this daily. 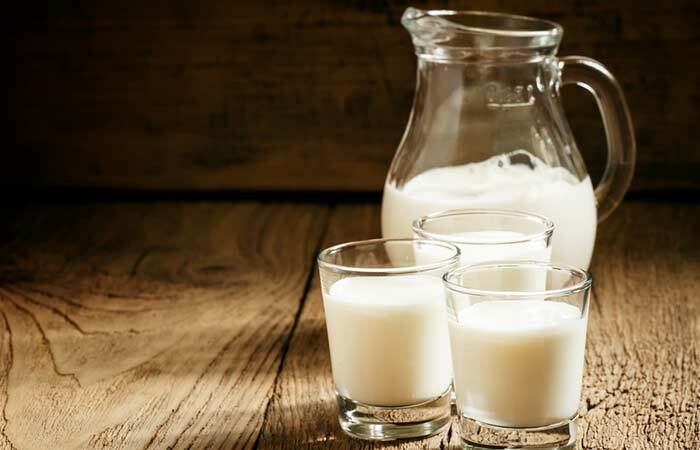 Goat’s milk is a great alternative to cow’s milk. It is rich in many vital nutrients that are beneficial to both adults and infants (5). The presence of antibodies in it helps in curing jaundice. Consume a cup of green grape juice. You can feed infants with the juice extracted from two to three grapes. 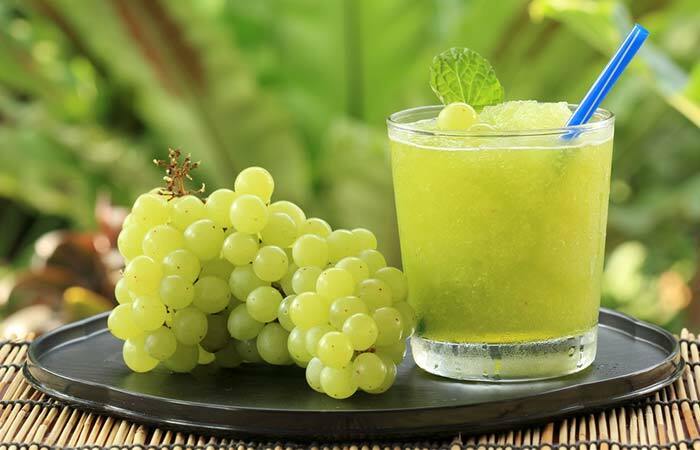 Green grape juice is believed to absorb the yellowness by enhancing the functioning of your liver. This can improve the serum bilirubin levels and cure jaundice (6). 1. Add a few cloves of minced garlic to your daily diet and consume. 2. You can also chew on the garlic cloves directly. 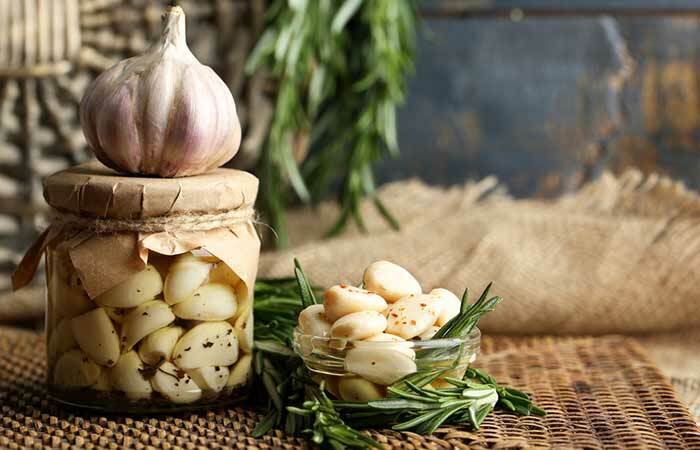 The allicin in garlic exhibits strong antioxidant properties. This can help in detoxifying your liver, speeding up your recovery from jaundice (7). Add an inch or two of minced garlic to a cup of water. Allow it to steep for 5 minutes and strain. Consume it while it is warm. You can also add ginger to your daily diet as an alternative. 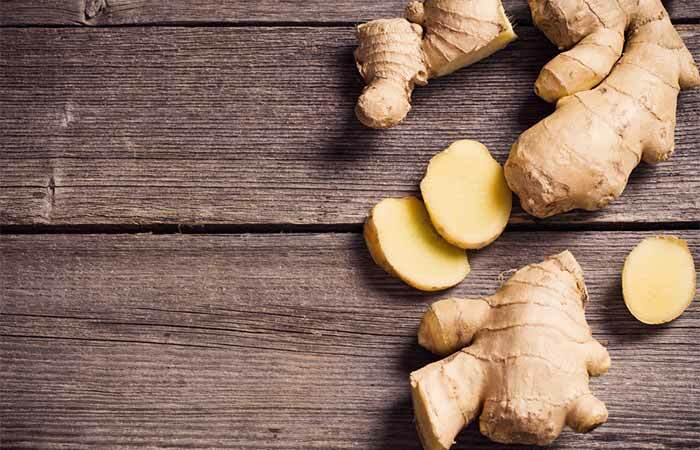 Ginger is another herb that works effectively in treating jaundice. It possesses powerful antioxidant and hypolipidemic properties that boost liver function (8). 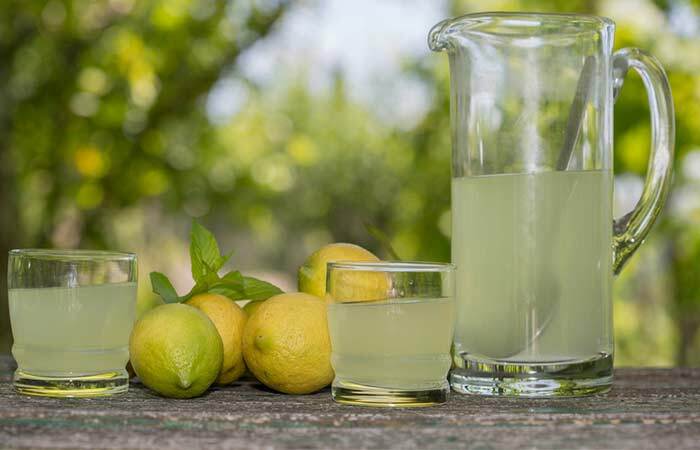 Add the juice from half a lemon to a glass of water. Mix well and add some honey to it. Drink the lemon juice immediately. You must drink this 3 to 4 times daily. The powerful antioxidant properties of lemon juice help in unblocking your bile ducts. This promotes the health of your liver while also protecting it from further damage (9). Since newborn infants are hardly exposed to the sun, they are often deficient in vitamin D. According to a study published in the Journal of the Chinese Medical Association, jaundiced infants were observed to be deficient in vitamin D as compared to non-jaundiced infants (10). Breastfed infants need up to 400 IU vitamin D daily. 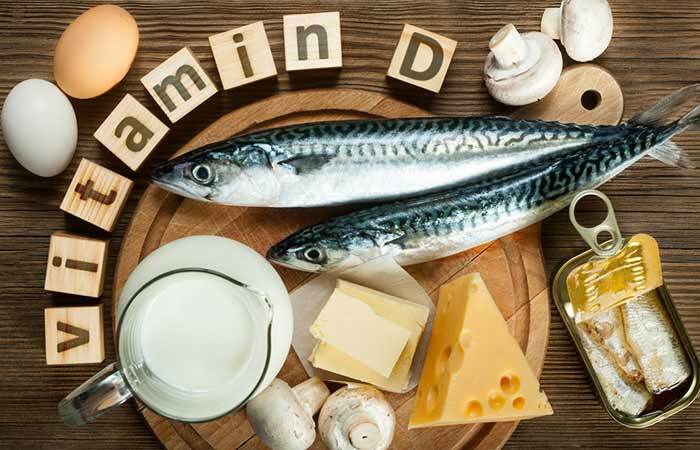 They can either be given drops of this vitamin, or the breastfeeding mother can consume more vitamin D-rich foods like eggs, cheese, and fish. Adults can also benefit from this remedy if they are deficient in vitamin D.
Consume a bowl of plain probiotic yogurt daily. You must have yogurt daily. 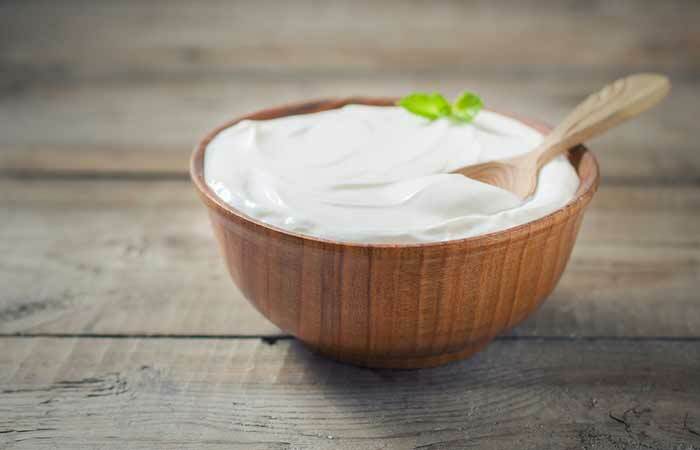 Probiotic yogurt can help in bringing down your serum bilirubin levels by enhancing your immunity and regulating the bacterial colonies in your body. Infants also benefit from probiotic supplementation. Hence, breastfeeding mothers can increase their intake of probiotic yogurt to aid the recovery of their babies (11). Boil the tomatoes in a saucepan. Strain the mixture and remove the tomato skin. Mix the boiled tomatoes with the collected water. You must drink this juice once every morning for a couple of weeks. 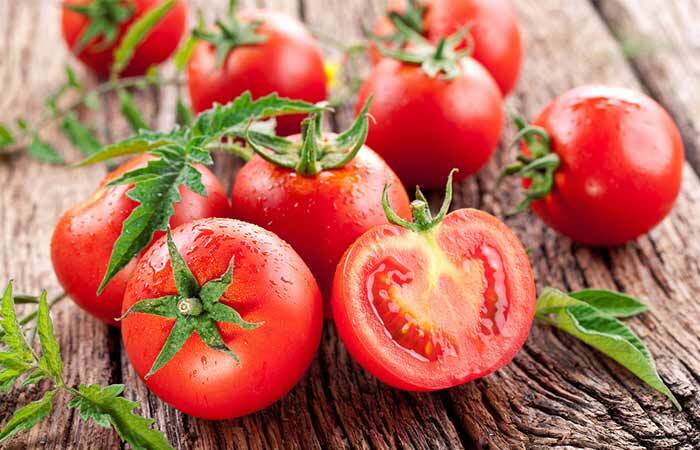 Tomatoes contain a compound called lycopene, which is a strong antioxidant. 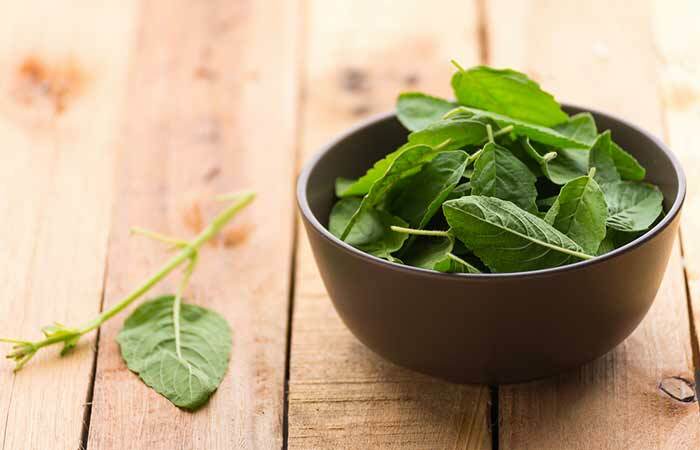 This helps in the detoxification of your liver and can also be used to cure jaundice (12). Boil the amlas in a saucepan. Mix the amla pulp with the remaining water. Once the mixture cools down, add some honey to it and consume. You must drink amla juice 2 to 3 times daily. 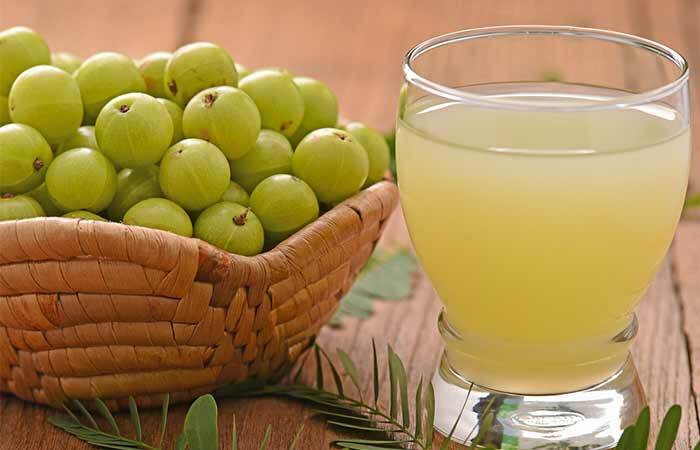 Amla is an age-old remedy used for the treatment of jaundice. It is rich in vitamin C and many other nutrients and is a potent antioxidant that can help enhance your liver health (13). 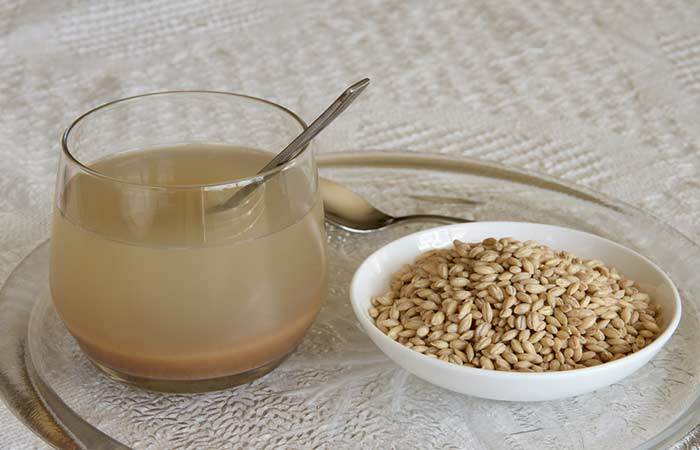 Add a teaspoon of roasted barley seed powder to a glass of water and mix well. Add a teaspoon of honey to this and drink the mixture immediately. Barley has diuretic and antioxidant properties that can help in flushing out toxins as well as bilirubin through urine. Hence, it is one of the best and easiest remedies to treat jaundice (14). Take a few holy basil leaves (10 to 12) and chew on them. If the flavor is too strong for you to handle, you can grind the leaves and add the paste to your favorite juice. You must drink this concoction thrice daily. Holy basil is popularly known as tulsi. This plant exhibits hepatoprotective activities that are beneficial for the liver and help in the treatment of jaundice (15). Add one to two teaspoons of oregano leaves to a cup of water. When the tea cools down a little, drink it immediately. You can also add some honey to the tea for added flavor. You must drink this tea thrice daily. 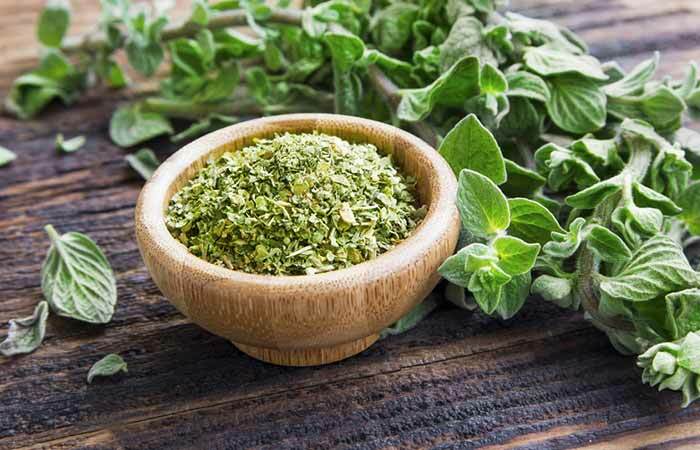 Oregano is a powerful antioxidant that enhances the health of your liver, helping it to break down bilirubin molecules (16). This, in turn, helps in combating jaundice naturally (17). Take a stalk or two of papaya leaves and grind them to form a paste. Strain this mixture to obtain the juice. Take half a tablespoon of this juice and add a tablespoon of honey to it. You must consume this 2 to 3 times daily. 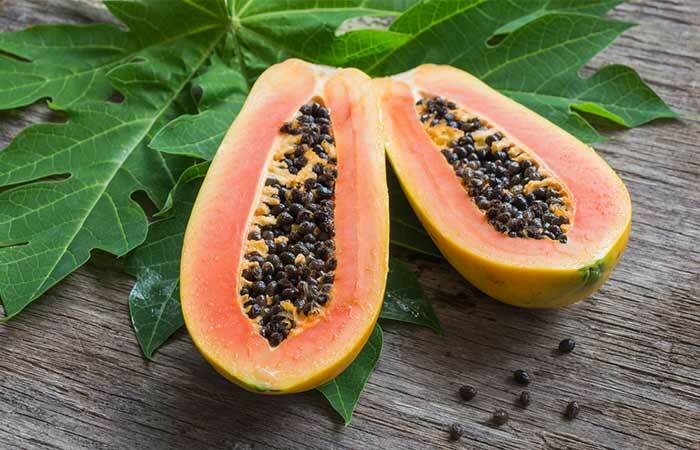 Papaya leaves are a rich source of enzymes like papain and chymopapain. These enzymes support your digestive health and also treat liver problems like jaundice (18). 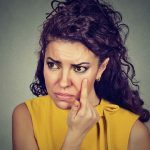 Remember to consult your doctor before trying out any of these remedies. With the help of your regular medicine and these home remedies, you can beat jaundice and be back on your feet quickly. There are also a few other tips you can follow for faster recovery. Drink clean water and eat fresh food. Coming to the diet, given below are some foods that may further aggravate your condition and must be avoided. These foods are quite hard to digest and end up aggravating your condition. So, steer clear of them to facilitate faster recovery from jaundice. 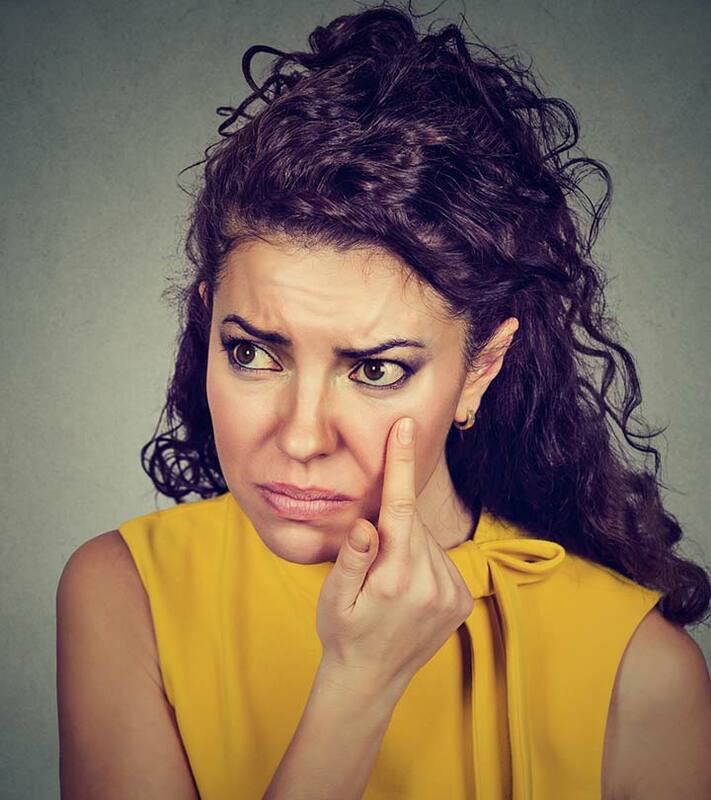 Jaundice can take an ugly turn if the treatment is delayed for too long. 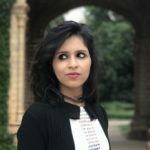 So, it is best to start your treatment while also following the remedies given here for faster recovery. How did you like this post? Let us know via the comments! How long does jaundice last in babies? Why are babies born with jaundice? Babies develop jaundice when the bilirubin levels in their body are more than the kidneys can flush out. High bilirubin could be a result of the rapid breakdown of red blood cells. What are the best foods for jaundice patients? A diet that includes fresh fruits, vegetables, fish, whole grains, and nuts is great for those suffering from jaundice. How long should your baby be exposed to the sun for treating jaundice? For treating jaundice in your baby, you can expose him/her to sunlight through a closed glass window for about 15 minutes, four times daily.